A patient’s thank you card to Mr. Blake: “Thank you for your kindness.” G.M. A patient’s letter to Mr. Blake: “I have recently been through two total hip replacement operations. 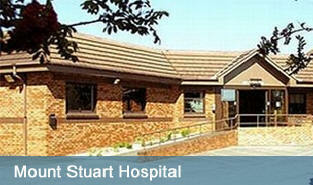 I cannot speak too highly of the surgeon, Mr. Stephen Blake, who operated on me at Mount Stuart Hospital, Torquay. His general manner, enthusiasm and attention to detail gives you complete confidence from day one. He explains the reasons and need for an operation, if required and gives alternatives if necessary. Post operation he is most attentive and visited me each day during my hospital stay. This was most reassuring. He has a nice sense of humour and obviously enjoys his work, which is refreshing. He is totally approachable and meticulous in the follow up examinations. I thoroughly recommend Mr. Blake as a top orthopaedic surgeon.” J.K.
A patients letter: “It’s nearly 10 months since my operation and so far I’ve run the British 10km race, the Ladies 10km race, the Torbay 10km race, the Bristol half marathon, a 1km sea swim as well as work regularly. I always appreciate your successful operation on my knee. Many thanks for your dedication.” N.M.
A patient’s letter to the hospital’s chief executive. “Some 2 weeks after being skittled by my dog I was on the receiving end of treatment at Torbay Hospital for 6 months and my grateful thanks to all involved in my care are huge and unreserved. … The day before my operation Mr. Steve Blake (Consultant Orthopaedic Surgeon) assessed me – explaining meticulously what the operation entailed involving a permanent plate and screws, post-operative recovery etc. This was in the early evening a he had just finished an eight hour long operation! … Endless thanks are due to Mr. Blake for his skill: I am now having a problem locating the scar which is on a disappearing course!” M.B. A patient’s letter to Mr. Blake: “Just a personal letter to say thank you for all the care and attention you have given me in connection with my total hip replacement. My mobility and absence of pain has vastly improved and indeed did so almost immediately. So far (touch wood) the results are exceptional. I am one of those people who believe that there is no such thing as equality in the workplace. It doesn’t matter whether you are a commercial surveyor like me , a solicitor, a baker or a surgeon like you, some people are better than others at what they do. 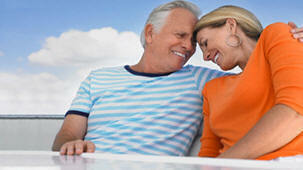 Clearly if my experience is anything to go by, you are one of the best and I was lucky to have you as my surgeon.” K.M. A patient’s letter to Mr. Blake: ‘It’s the 1st of December and as promised I am wearing my high heels. The extent of my motivation improves every week. I’m not doing the splits yet! Thank you for my new hip and all the best for Christmas and the New Year.” D.H.
A patient’s thank you card to Mr. Blake: “Still searching for the words yet will never find them in any book. Your skill and kindness ever treasured.” M.B. A patient’s letter to Mr. Blake: “ Thank you for your skill, your care and your kindness.” D.C.
A patient’s thank you card to Mr. Blake: “Thank you so very much for using your god given skills and talents to heal my knees. I will look forward to being more active with my grand children when we go to South Africa in November for a holiday. May god continue to bless you.” M.M. A patient’s thank you card to Mr. Blake: “Thank you so much for your wonderful care.” C.W. A patient’s thank you letter to Mr. Blake: “I am so pleased to inform you that I have made an excellent recovery from my extremely long and complex hip revision surgery that you performed on my right hip in March 2011. I am writing to thank you for your skill and expertise in putting me back on my feet and also for your kindness and care which was very much appreciated. You explained very explicitly to my husband and myself the significant problems regarding my hip which had been resurfaced in 2002and I took your advice to have the operation done immediately which you arranged. My treatment in Mount Stuart Hospital could not have been better and I am very grateful for all the care and attention I received whilst I was an inpatient. Please pass my thanks on to the nursing staff, theatre staff and anaesthetist. We are lucky to have such a skilled surgeon here in the bay.” S.B. A patient’s thank you card to Mr. Blake: “ Thank you for a job well done!” B.W. A patient’s family’s thank you letter to Mr.. Blake: “Just a small thank you for all that you have done for B.H. Lets hope this has given her her life back and that she will be running around again soon.” B.H’s. family. A patient’s post card to Mr. Blake: “Thanks to you my knee is working fine. We are enjoying a month here in the Princess Hotel. Lots of warm sunshine after a very cold December.” R.W. A patient’s thank you card to Mr. Blake: “Thank you to Mr. Blake and his team and all the people who were so lovely and looked after me so well at Mount Stuart Hospital.” V.T. A patient’s letter to Mr. Blake: “Thank you from the bottom of my heart for the kindness you have shown me during my short stay with you.” M.W. A patient’s thank you card to Mr. Blake: “To Mr. Blake and all the staff on Manor ward, for your care and skills I thank God for each one of you.” W.F. A patient’s thank you card and letter to Mr. Blake: “Please accept my sincere thanks for the faith you have given to me and for the treatment which appears to be successful. With many good wishes for the future. I am so grateful for the care and understanding given to me over the last year or more. It is such a relief to lose the constant pain I was experiencing.” B.K. A patient’s thank you card to Mr. Blake: “ Thank you so much for sorting out my knee. Sound advice and brilliant execution with such wonderful patience especially for a difficult old beggar like me. I really am so grateful. Thanks.” J.H. A thank you card to Mr. Blake: “I wish to say thank you for all that you have done for me.” I.B. A thank you card to Mr. Blake: “Thank you very much for the care and attention I have received.” S.G.
A patient’s thank you card to Mr. Blake: “I would like to thank you and your colleagues for the wonderful medical attention I have received over the last 12 months. The hip replacement you did 5 weeks ago appears to be a complete success. The treatment I received from everyone at Torbay Hospital could not have been better.” S.C.
A patient’s thank you card to Mr Blake: “Thank you for your expertise, consideration and kindness.” J.B.
A patient’s thank you card to Mr. Blake: “Thank you so much. I call you my ‘guardian angels’, I used to think angels were in heaven, I now know the work at Mount Stuart too.” E.G. A patient’s thank you card to Mr. Blake: “A note to thank you for your thoughtfulness and to let you know it really means a lot. Many thanks for a great job.” J.C.
A patient’s thank you card to Mr. Blake: “Thank you for all your amazing surgery that has given me back the use and mobility of my right hip. You have given me back my height, comfort and posture too. Please, please will you consider being my surgeon for my left hip next time?” A.R. A patient’s thank you card to Mr Blake: “I wish to say thank you for all that you have done for me.” I.B. A patient’s thank you card to Mr Blake: “Just a little something to say thanks for all that you did. It’s great to feel good again, the pain has gone and I’m able to go to bed and sleep. I don’t want to get up now. It feels great to go to work again too.” I.D. A patient’s thank you card to Mr Blake: “Thank you so much for looking after me last week. You really did make me feel special and totally cared for. I really appreciate the time that you put aside for me at such short notice.” M.H. A patient’s thank you card to Mr Blake: “Thank you for your assurance for this operation and how it will help me. It has been a very long road to get here, to this point in time and if my sense of independence comes back, I will be forever grateful to you Mr. Blake.” B.K. A patient’s letter to Mr Blake: “In case I do not see you personally at the fracture clinic I wish to express my gratitude for the excellent skill and care you brought to piecing together the bits of my femur, following my crash landing. I continue to be amazed at the freedom of pain, and I’m sure I shall be fully mobile within the three month period. My very sincere thanks.” J.S. A patient’s thank you card to Mr Blake: “Thank you for a job well done!” B.W. A patient’s thank you card to Mr Blake: “Thank you very much for doing my hip operation. I Really do appreciate it.” J.M. A patient’s thank you letter to Mr Blake: “The new hip is settling down really well. Many thanks. I was hoping to send you a print of my latest painting. Unfortunately the photo I took of it was no good to get reproduced. I will probably go to the National Trust Gallery and take another one when I am driving and will then send you one. Enclosed are two of my limited edition earlier ones. When framed they look good. Please accept them as a very small token of my appreciation of what you did for me.” B.B. A patient’s thank you card to Mr Blake: “I would like to take this opportunity to thank you and your team for the excellent treatment I received while undergoing key-hole knee surgery. As far as was possible this was a pleasant experience and I felt very well cared for. I hope, should I need further treatment, that I will be fortunate to be referred to you! Thank you all again.” J.V. A patient’s thank you letter to Mr Blake: “A short note because I feel I didn’t thank you adequately yesterday. You gave me the confidence to have the operation and all my exercising would have been to no avail without your skill! The nurses at Mount Stuart Hospital said they rarely have any problems with your patients so I expect to do well. I am pleased that when the time comes you are willing to replace the other knee. Not for a while I hope! With grateful thanks.“ V.H. A patient’s thank you card to Mr Blake: “Thank you for my new hip and the care I received.” J.W. A patient’s thank you card to Mr Blake: “I and my family wish to take this opportunity of thanking you for the excellent professional care you and the staff at Mount Stuart Hospital gave me during my recent replacement hip operation. The team support shown by all staff was greatly appreciated.” B.P. A patient’s thank you card to Mr Blake: “I want to thank you for your care and honesty during my treatment over the last year. You have helped me through a difficult time with understanding.” J.W. A patient’s thank you card to Mr Blake: “This comes to you in gratitude for your thoughtful, caring attitude. Thanks a million.” A.C.
A parent’s thank you card to Mr Blake: “I am writing to say thank you to you and your staff for the assistance you gave my son whilst he was admitted to the hospital. Both I and my wife felt that the service everyone gave was first class. He is back at school and running around like a mad thing.” I.J. A patient’s thank you letter to Mr Blake: “About three months ago you operated on my knee by keyhole surgery. I am pleased to tell you that I am recovering well and am now able to walk without the aid of a stick or crutches. I am now writing to thank you for your kindness and care which was very much appreciated and also for the trouble you took in writing to my general practitioner.” A.M.
A relative’s thank you letter to Mr Blake: “I would like to take the opportunity to personally thank all the staff involved in the care of my grandfather who had a knee replacement at your hospital. From what I hear from my grandmother and grandfather himself is that your level of care has been outstanding and they have both spoken very highly of the service which you have provided. I myself am a healthcare professional working in Greater London and regularly come into contact with patients and colleagues alike who have unfortunately witnessed second rate care in the health profession and was therefore understandably concerned for my grandfather going in for major surgery when I could not be there to check that he was alright and that the standard of care that he was receiving was no less than he, or in fact any other patient in his position deserved. However, your hospital has been absolutely outstanding and really put my mind at rest. I have been able to speak to my grandfather every night that he has been in hospital and he has told me of all the care which he has been receiving and more importantly that he has understood everything that has been said to him throughout his stay. This I feel is a very important matter to congratulate your staff on as I frequently see many patients who have no idea about their health as their GP has explained things in complex medical jargon which has left them confused and often distressed. He has also remarked that his room is wonderful and that all your staff can never do enough for him. I understand that due to the glowing reports that my grandfather and family have given me about your hospital that you probably receive many of these letters thanking you and congratulating you on your standard of care but I would greatly appreciate it if you could thank each member of staff involved in my grandfathers care for me, particularly the surgeon who I understand has done a fabulous job. My grandfather is incredibly important to me and to know that you have cared for him so well has made me incredibly happy and thankful for the work that you have done.” K.S. A patient’s thank you card to Mr Blake: “Thank you for all that you have done.” I.T. A patient's letter to a regional newspaper: "I would like to take this opportunity to say a big thank you to my consultant Mr S Blake regarding my recent hip replacement operation on the NHS at Mount Stuart Hospital. Your care and attention to detail was of the highest standard." E.L.
A patient’s thank you card to Mr Blake: “Thank you so much for my new hip. As a Christian I really believe God put me in your hands. I am so grateful and to have the op in Mount Stuart was an added blessing. I walked a mile and a half this morning!! It was wonderful! Please also thank the anaesthetist – he was amazing and of course all the staff.” K.B. A patient’s letter to Mr Blake: “To you and to all your associates and collaborators, my thanks for the professionalism and the magic which has returned the active quality to my lifestyle!” A.H. The same patient’s letter which was published in a regional newspaper: “I recently spent six days in Ainslie Ward at Torbay Hospital having badly shattered my foot. The paramedic team and ambulance staff attending me, were first class. The X-Ray and CT Scan staff ensured I was seen and promptly made ready for surgery. I would also like to put on record that the surgeon, theatre attendees, the ward staff of Ainslie and also the catering staff and cleaning staff could not have been more caring and reassuring under extreme pressure. During my time in the ward, which I believe, is classed as a Trauma Ward, I saw dignity upheld and devotion in the care given to elderly patients. Throughout my six day stay standards did not drop once. We folk in the Bay and surrounding areas are fortunate that at a time of recession, together with an obvious shortfall in funding and pay awards, receive such dedicated service from these men and women.” A.L. A thank you card to Mr Blake: “Just a small token to show my appreciation of not only the excellent care I received but many thanks for the rapidity of my operation. I must say I was very impressed with Ella Rowcroft Ward and all the staff involved. The NHS receives many criticisms but I could not fault the excellent treatment I received.” A.S.
A patients letter to a regional newspaper: “Thank you all. 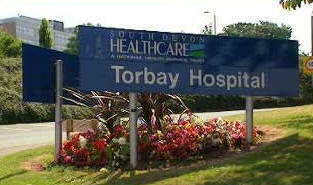 I was recently a patient for 10 days in Torbay Hospital following an accident when I broke my leg. I wish to thank all concerned in my excellent care including the ambulance men, also staff in the A&E and X-ray departments. My stay on Ainsley and Ella Rowcroft Wards was made as comfortable as possible by the cheerful, competent nursing and housekeeping staff. I also thank the theatre staff and surgeon, Mr Steve Blake, for doing a difficult repair job. Many thanks to friends who have sent numerous gifts, cards and get well wishes.” S.D. A thank you card to Mr Blake: “Thank you for your expertise and skill in replacing both my knees and giving me back my quality of life. P.S. I’m not quite ready for water skiing yet!” B.M. A thank you card to Mr Blake: “Just a little token of my appreciation for everything you have done for me. Thank you so much! Enjoy the chocolates.” R.O. A thank you card to Mr Blake: “All the family would like to thank you for the operations and aftercare by you and your team given to my husband recently.” J.K.
A patient’s thank you letter to Mr Blake: "Thank you Mr Blake for your skill in performing my hip replacement operation. I am completely free of pain - indeed my life has been transformed!! Your kindness and encouragement have been much appreciated." C.B. A patient’s letter to Mr Blake: “I would like to express a heartfelt thanks to you for the successful operation and also for your adherence to my special request... You all deserve appreciation for the way in which you make a stay in hospital as comfortable and reassuring as possible.” P.L. A thank you card to Mr Blake: “I wish to express my thanks and gratitude to you for all your knowledge and expertise, and your caring team. My husband will have a much better quality of life.” S.M. A patients letter to Mr Blake’s secretary: “Would you be kind enough to convey my grateful thanks to Mr Blake and the team for doing such a wonderful job on my hip. Everyone from day one to my discharge was so helpful and informative, which really put me at ease. I am now at home and making good progress, due I am sure to the wonderful care received by you and all the staff. Wishing all of you the very best for the future. From one very grateful patient.” M.T. A patient’s letter to Mr Blake: “Thank you very much for the pictures of my hip, pre-op and post-op. They are very clear and show extremely well the results of your excellent surgery. My hip is fantastically better than it was, and the care and attention from all hospital staff, even the cleaning staff, is very much appreciated. When you popped into the ward to see me post op, the patient in the bed next to mine, told me that he too was very impressed with the way you spoke to me.” B.L. A patients letter to Mr Blake: “Thank you so much for all that you have done for me Mr Blake… Before my surgery on my right knee, my right leg was becoming quite bowed in shape, but now my leg is straight, also I had pain before my operation, that has gone too The x-ray of my new knee was amazing!! I am making good progress.” I.B. A patients letter to Mr Blake: “With heart felt thanks to you and your wonderful team. I found them all so, so sweet, caring and kind. I was very nervous but they all put me at ease. I have never had real surgery before. I think you are the most brilliant surgeon, you can hardly see the stitches. Someone at my church said my new knee is the best she has seen so far. She has seen many, she is a retired matron. She thought your work is brilliant. God bless you all.” B.C. A patient’s Christmas card to Mr Blake: “Just to say thank you so much for removing the ulcer in my knee and improving my life tenfold! My knee hasn’t swollen at all and I can ride my horse again with no problems. Thank you for taking the time and interest, and solving the problem.” L.B. A patient’s letter to Mr Blake: “I’m writing to thank you, your surgical team and the nursing staff for the care and diligence with which I was treated during my stay. I was really impressed by the professional and speedy way everyone went about their jobs, but most importantly by the cheerful demeanour and sense of fun exhibited by all the staff with whom I came into contact. The blow of loosing part of my finger was certainly softened by the staff and their dedication to keeping patients spirits high, for this I am truly grateful. Please pass on my thanks when the chance arises. Many thanks once again.” T.C. A grand daughters letter to Mr Blake: “I just wanted to write and thank you for the care that you gave my grandmother after her road traffic accident. We do appreciate so much all that you did for her, and for visiting us on the ward the next day after she took a turn for the worse. Thank you too for explaining to me on the phone the night before, so kindly all that you were doing for her. It means a great deal to know that she received such excellent and caring medical treatment in the last days of her life – we will always be grateful for that.” J.S. A patient’s letter to Mr Blake: “I am unable to make my appointment for family reasons so I thought a letter of thanks to you personally would be appropriate. … Please know that I will always be profoundly grateful to you in particular and to everyone else who have helped me through this difficult episode and I would like to wish you the very best in your future career wherever it may take you. Once again many thanks.” W.S. 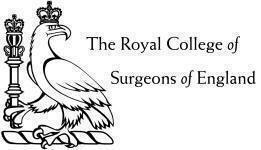 A patient’s card to Mr Blake: “Just a card to say a big thank you to everyone who participated in repairing my fractured femur on Sunday… I feel doubly grateful for the efficient service which I received… I feel that special service was awarded to me. Truly a Harrods service in a Tesco store! !” J.C.